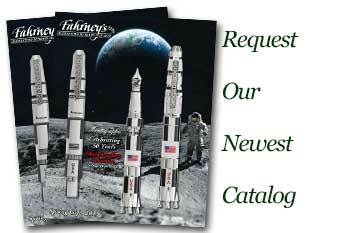 Order your Montegrappa Limited Edition Moonlanding Rollerball today from FahrneysPens.com. Fine Pens, Refills & Luxurious Gifts – great prices & fast shipping. FREE GIFT WITH PURCHASE ...Moon Landing Standard Edition Rollerball Pen. Made in celebration of supreme human achievement and landmark mechanical design, Montegrappa’s Moon Landing Limited Edition has been engineered and realized with an astonishing likeness to the modular craft that powered the Apollo missions. 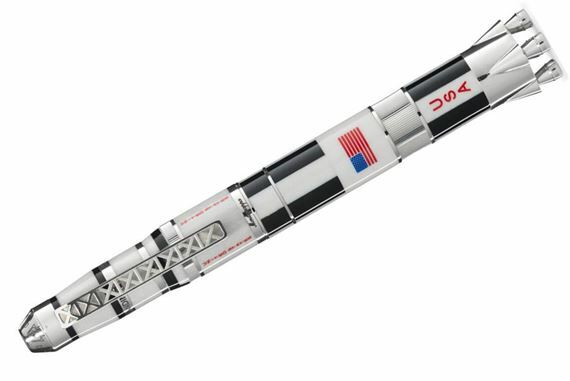 It arrives only a few months before the much-anticipated 50th anniversary of the landing of Apollo 11 and man’s first steps on the Moon – to be commemorated on 20 July 2019. Offering a mix of engineering, design and exhilarating writing pleasure, Moon Landing LE boasts a striking combination of white pearlised resin and polished Sterling Silver trim, with decorative enamelling to evoke the fuselage markings of the original craft. 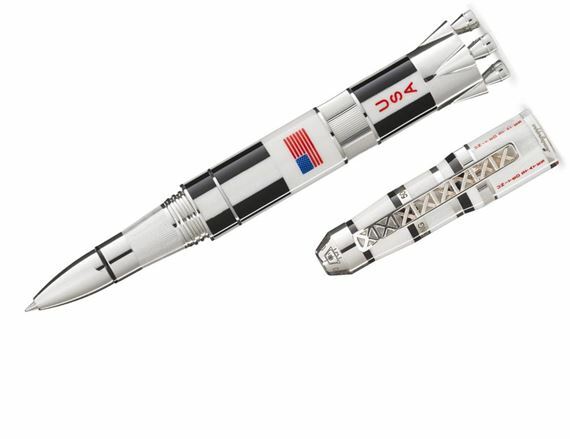 A semi-detachable barrel allows users to simulate the separation of the second and third stages of the Saturn V rocket, and reveal special viewing windows that expose the pen’s internal ink flux mechanism. Both features are designed to heighten the experience of an object made to appeal to inquisitive, playful minds. The pocket clip recalls the tower crane of the Cape Kennedy launch pad, while its blindcap features the conical rocket thrusters that supplied the Saturn V with an incredible 160 million horsepower. In its fountain pen variant, an 18k gold nib – available in Fine, Medium and Broad grades – bears an engraving of the official Apollo 11 mission patch. Moon Landing LE is available in both fountain pen and rollerball modes, and arrives packaged in an elaborate presentation case designed to sit proudly on any table, shelf or sill.